Check out this gently-used 2008 Ford Expedition EL we recently got in. When you purchase a vehicle with the CARFAX Buyback Guarantee, you're getting what you paid for. This Ford Expedition EL SSV has a tough exterior complemented by a well-designed interior that offers all the comforts you crave. 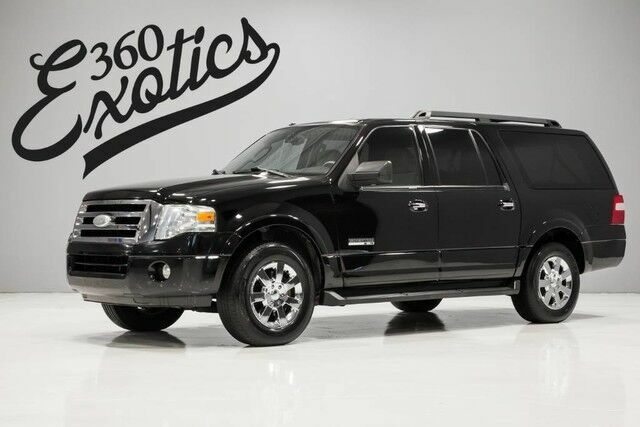 The 2008 Ford Expedition stands out for its combination of smooth ride and interior comfort and quiet with full-size-truck hauling ability, making it a good choice for those who frequently tow. Ford says that the Expedition's 9,200-pound tow capacity is the highest in its class, and that the six-speed automatic transmission allows better fuel economy than with rivals. The Expedition was rated the top Large SUV in Strategic Vision's Total Quality Index, which measures new-vehicle owner satisfaction.